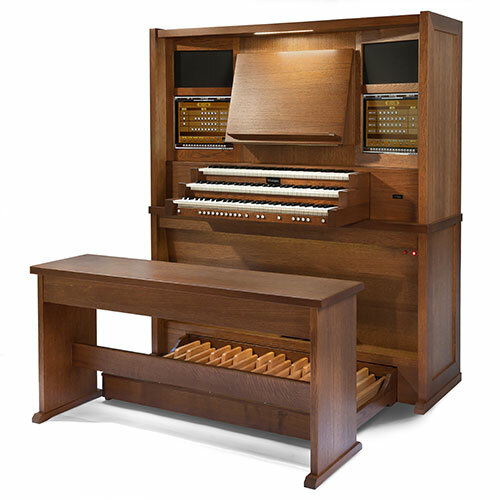 The Kabinet is an elegant organ with a classic look for any living room. 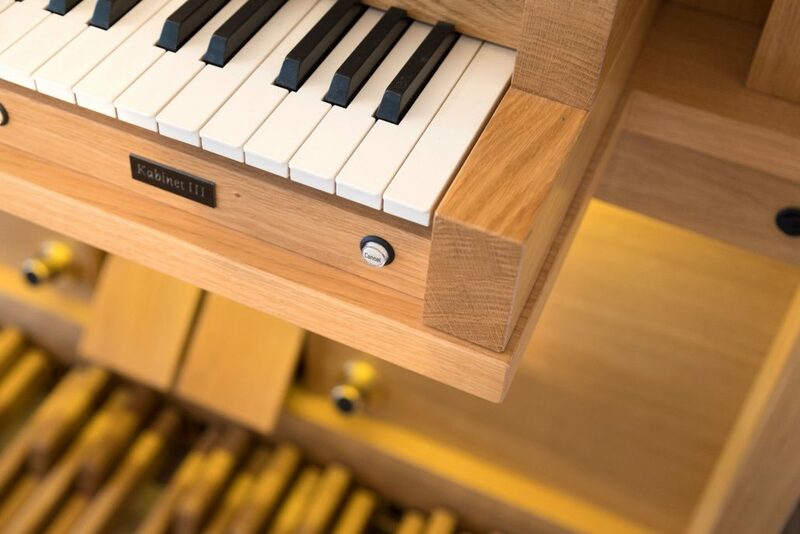 The Kabinet is available with three manuals and produced in natural oak as standard, with other colours and woods available. The organ has five premium speakers, each with its own power amplifier. 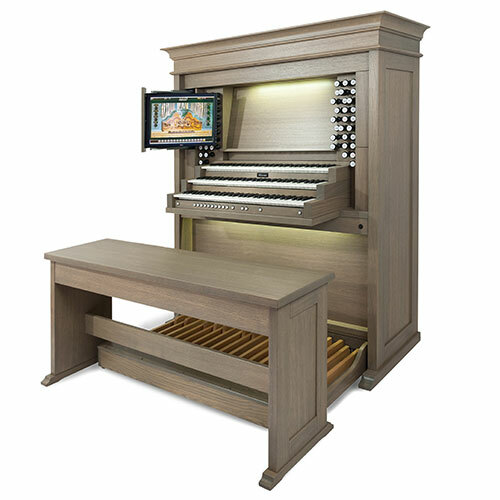 Combined with the advanced Digital Signal Processor (DSP) designed in-house by Mixtuur Orgels, the result is the best possible sound. 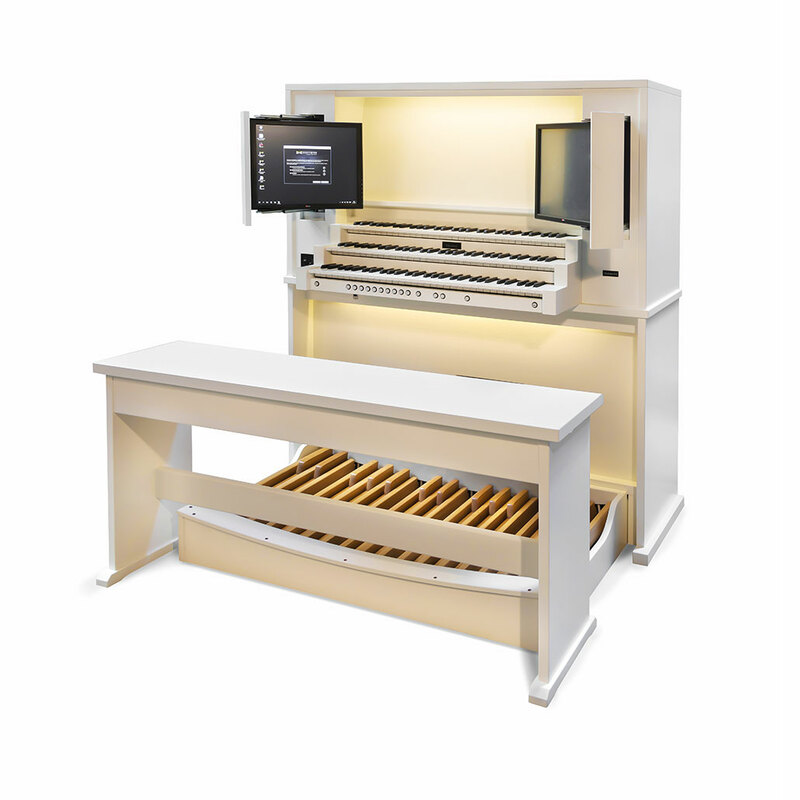 The touchscreen allows you to operate the Hauptwerk™ software with ease. 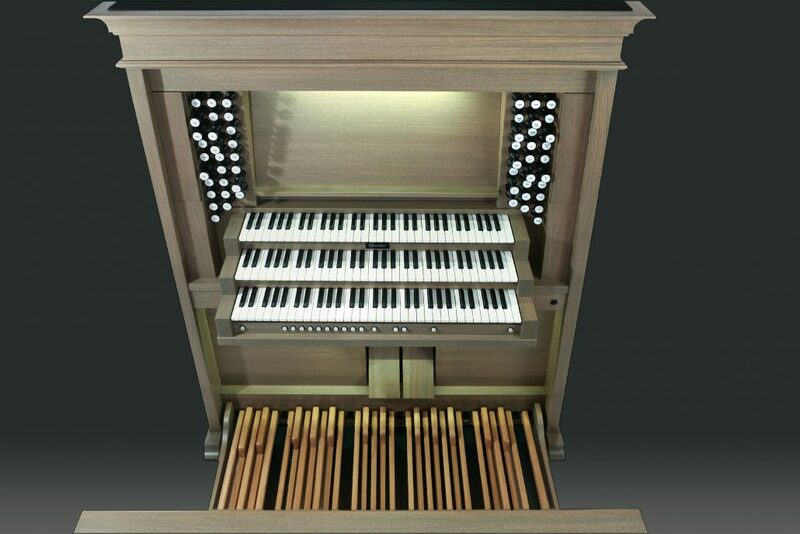 Optionally, a second screen can be added. 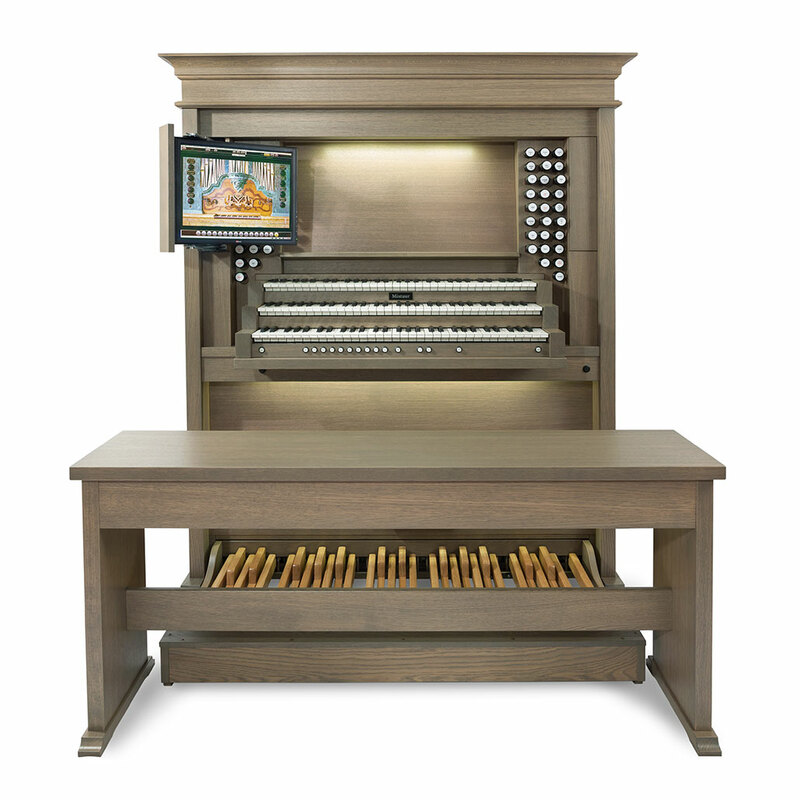 Each sample-set builder has their own layout, giving you the experience of truly being in the presence of the original organ. 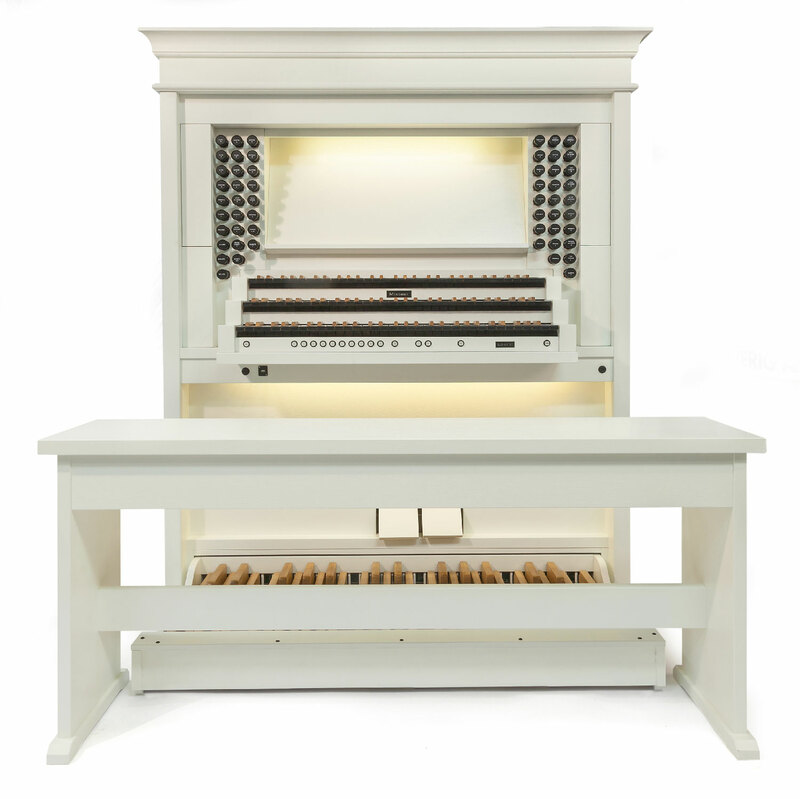 The Kabinet optionally features a further 54 drawstops linked to your favourite sample set. 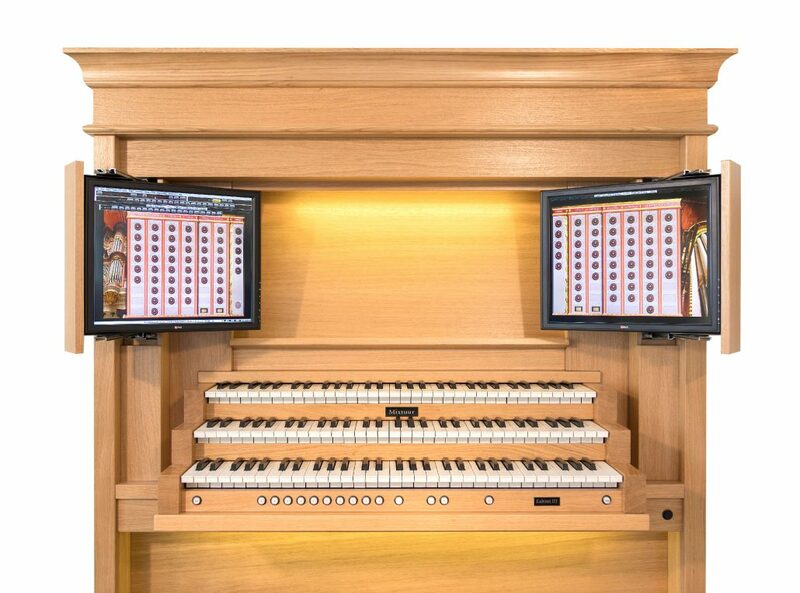 The organ also has a small touchscreen for an extra menu. 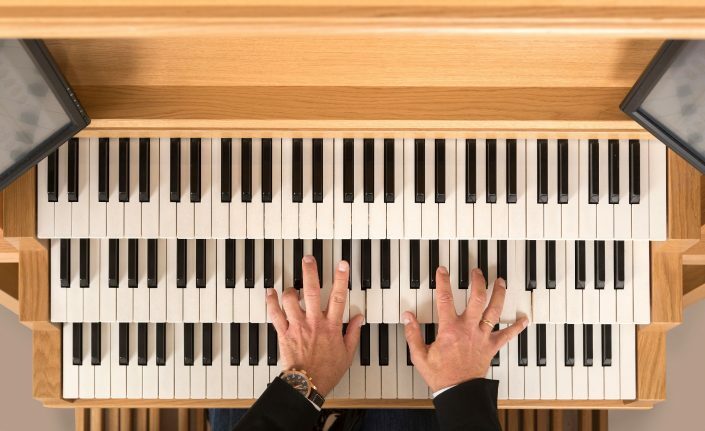 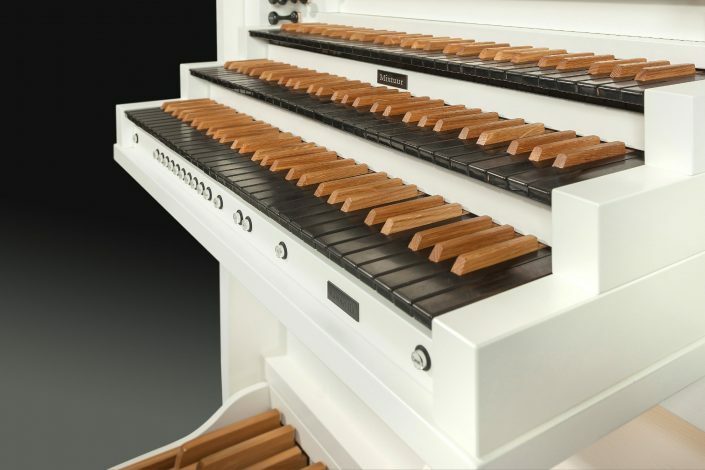 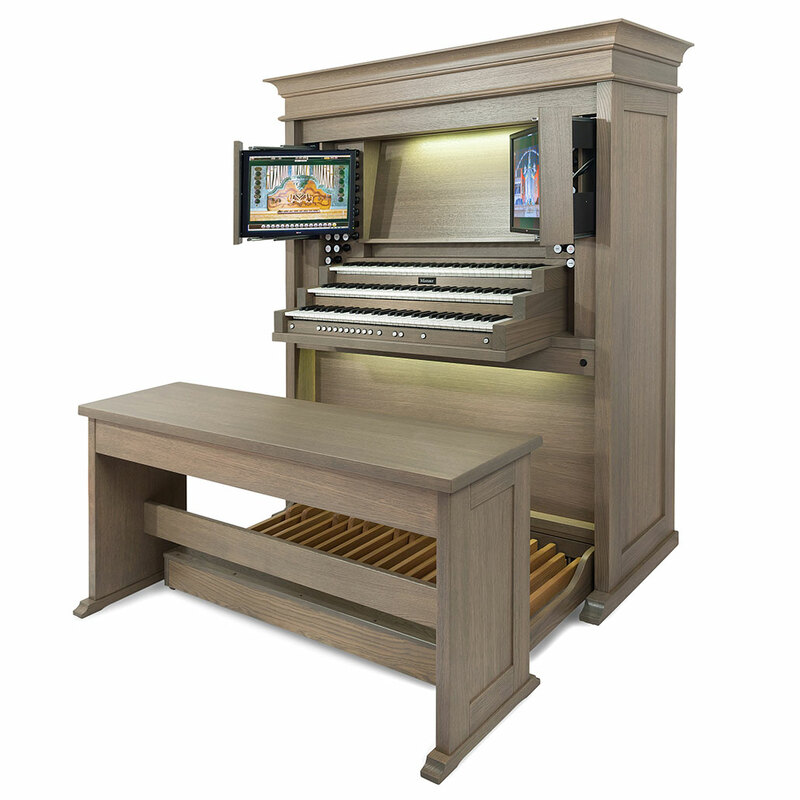 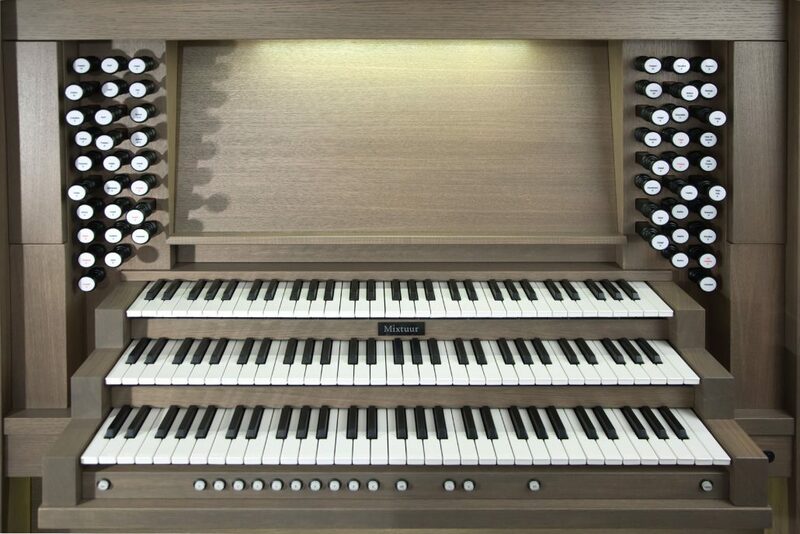 All of the organ’s features are easily accessible through the menu; with options, for example, to adjust the temperament or reverb (virtual listening position), or to make your own recordings (in MIDI or audio). 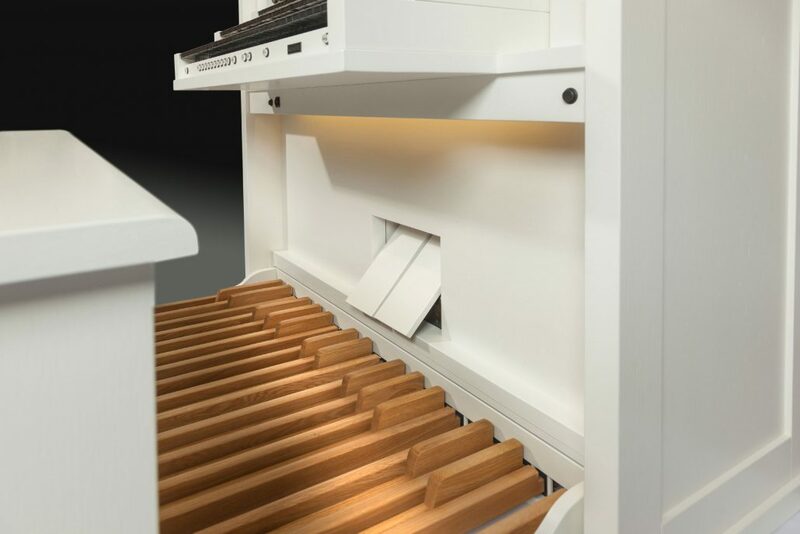 Knowledge of Hauptwerk™ is not required! Mixtuur Orgels goes further than other suppliers. 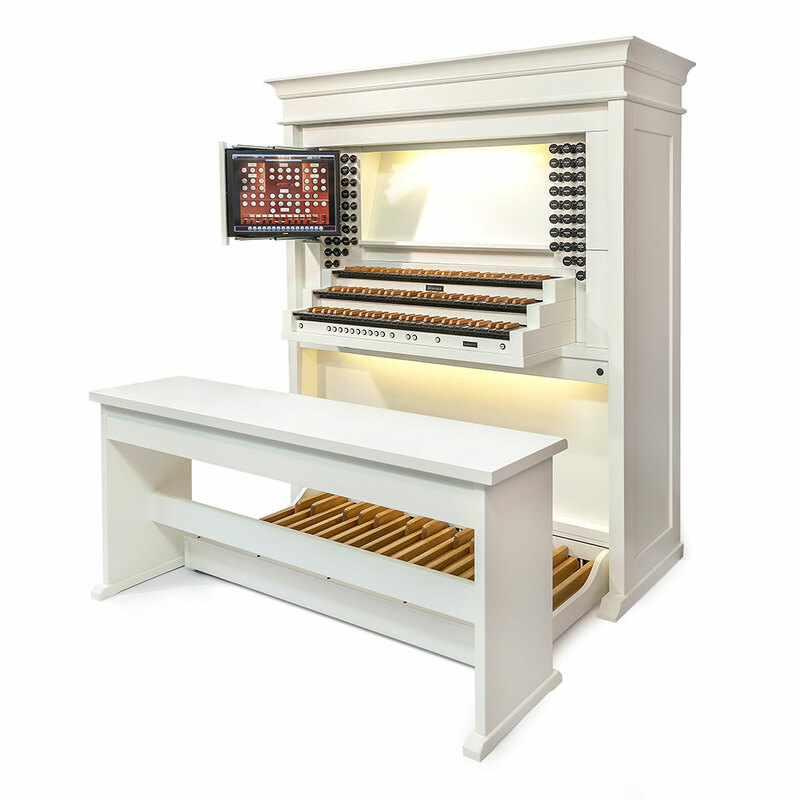 The menu touchscreen was developed in-house by Mixtuur Orgels and provides optimal control over your organ. This touchscreen works seamlessly with the Hauptwerk™ software, making use a breeze. 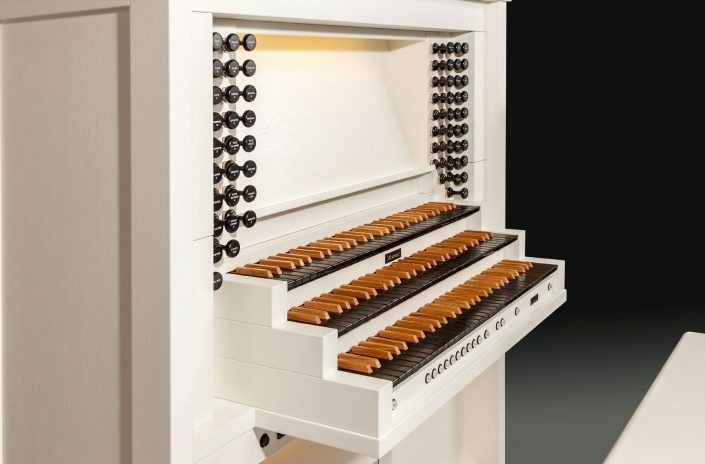 In this stylish organ case, the Kabinet’s audio sounds ideal. 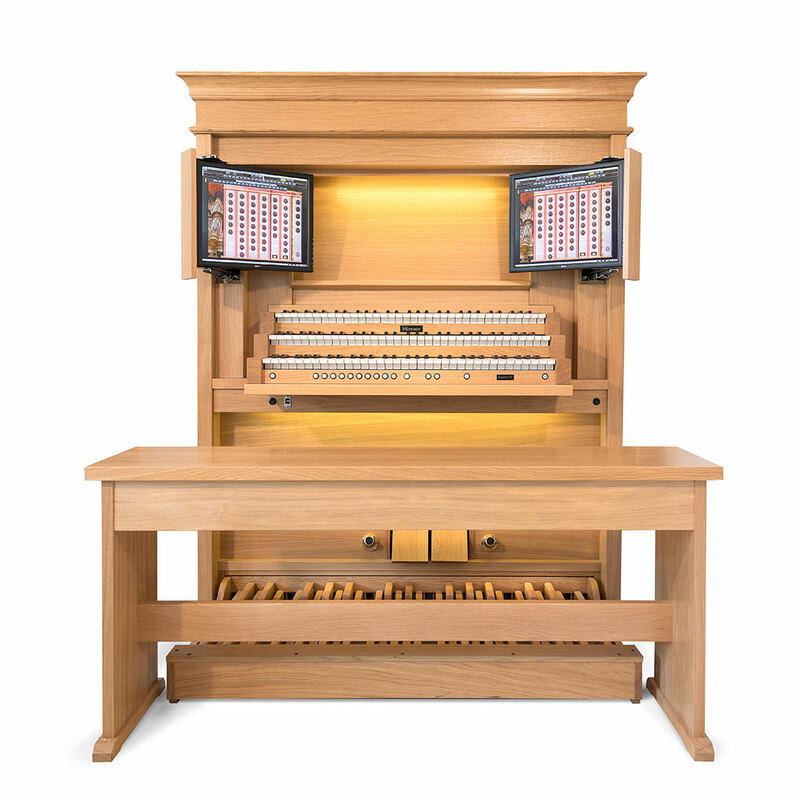 The intelligent positioning of the speakers within the organ case combined with our own audio technology means that you can count on a perfect result. 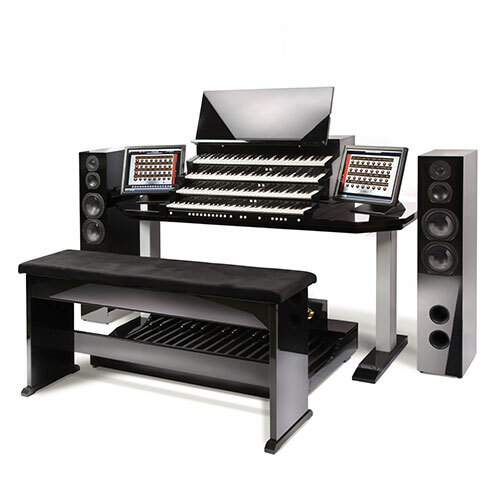 With the Kabinet, Mixtuur offers you the ultimate music experience in your living room. 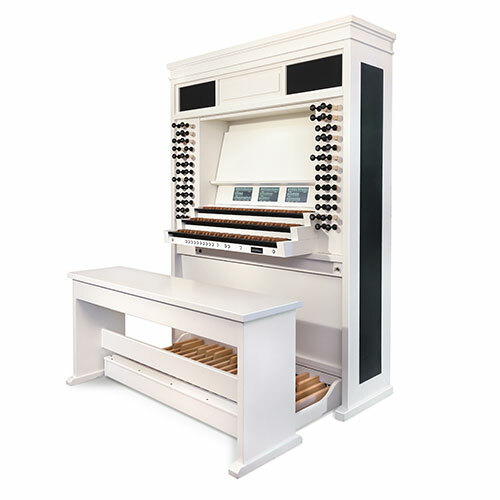 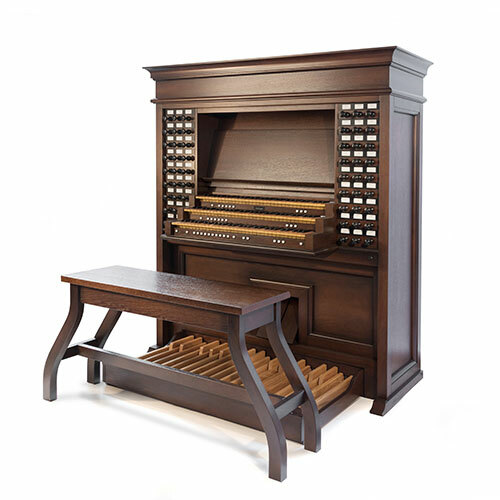 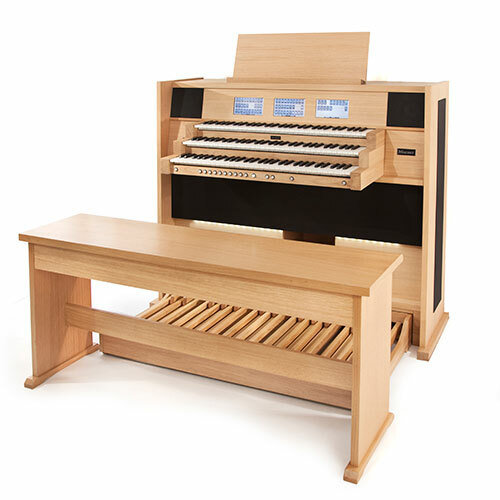 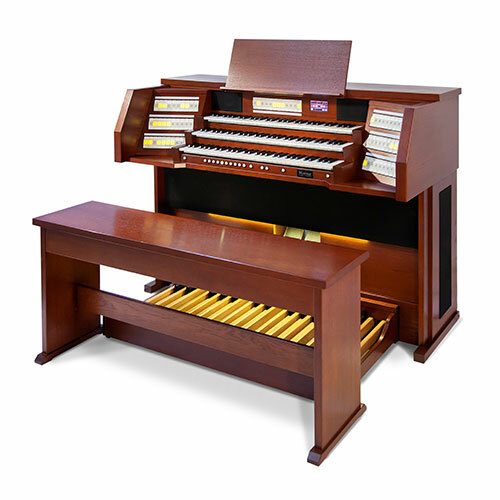 Thanks to the many available options, the organ can be fully tailored according to your needs. Make a no-obligation appointment to come play, listen to and experience the organ for yourself. 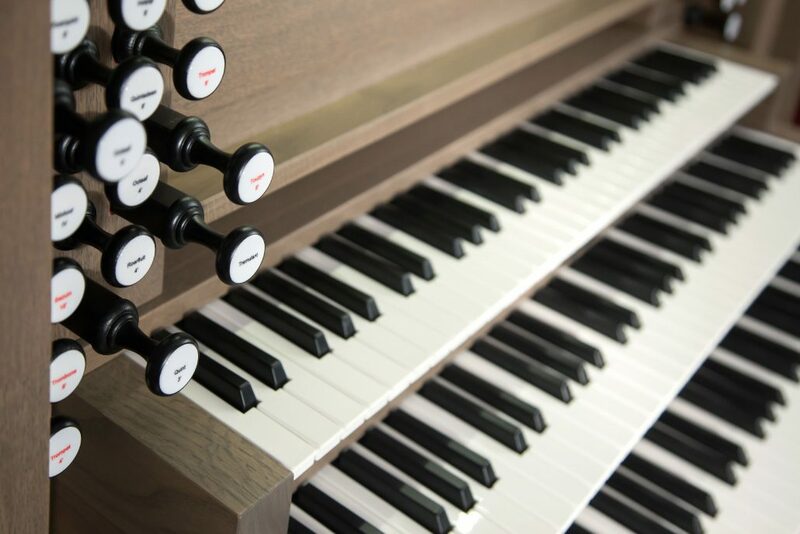 We’d love to show you the possibilities.